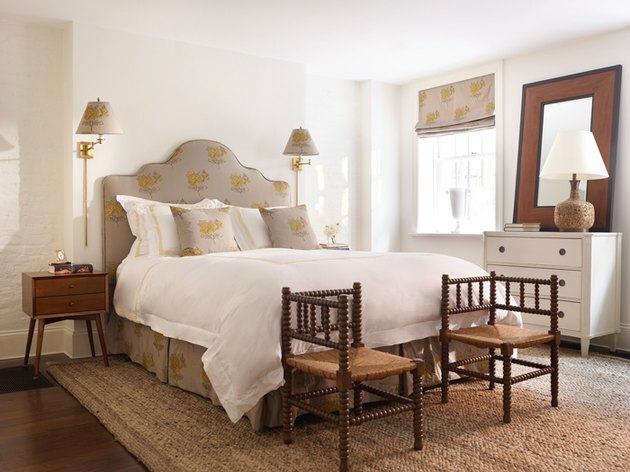 The styles that emerged during the lifetime of England's second-longest reigning monarch (the reign of Queen Elizabeth II surpassed Victoria's in 2015) are present even today, with influences from the Victorian age still evident in art, architecture, design, and decor. Since Victoria's reign was so very long (63 years), quite a few recognizable fashions fall under the umbrella of Victorian Style. It was a period of prosperity for Britain, one that placed high value on beautiful things and ornate details, sparing no expense. 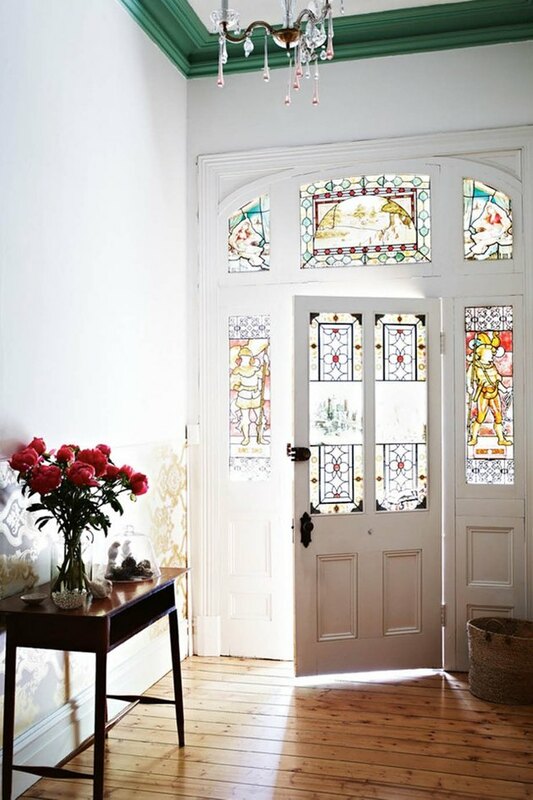 That Victorian style continues to endure today is significant (and somewhat surprising given our modern-day penchant for clean lines and minimalism), and a testament to the period's approach to the evolution of design: The Victorian age brought together the best elements of many earlier styles, and included inspiration from around the world. But while it's certainly true that Victorian furniture or decor is a far cry from anything you'd find at Ikea (except perhaps their upcoming OMEDELBAR collection), sometimes opposites do attract. 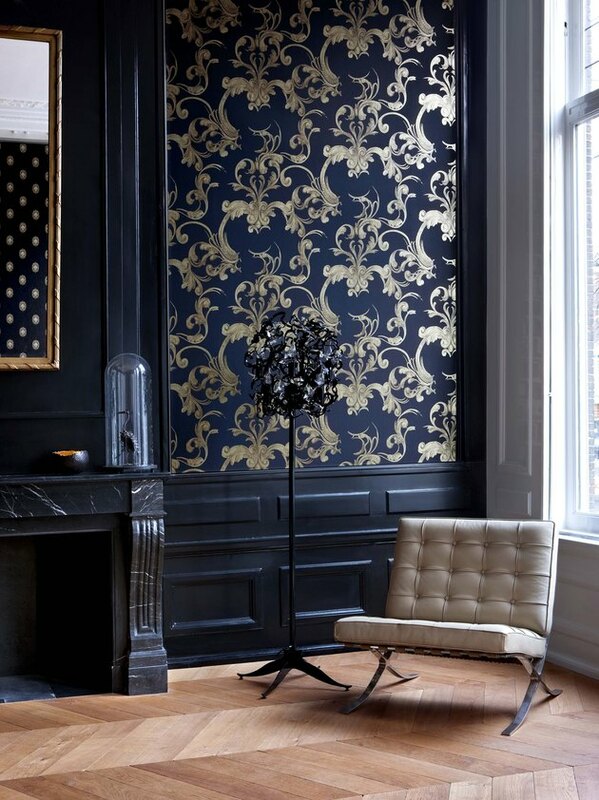 It turns out that a touch of Victorian style can be just the ticket to liven up the spartan style of modern decor. 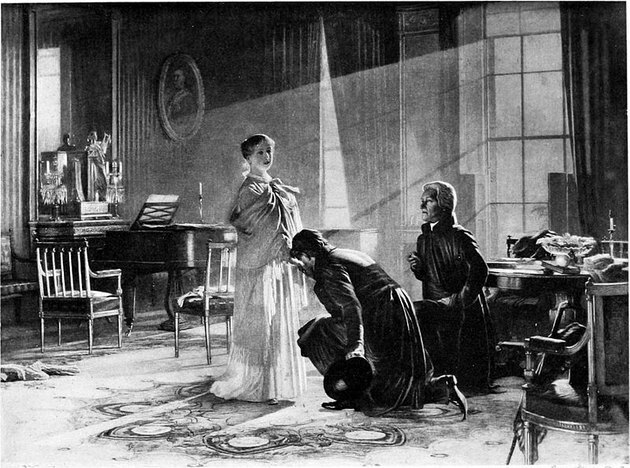 The Victorian age was one of refinement, and throughout the queen's reign from 1837 to 1901, Victorian style was marked by extravagance and grandeur. Luxury was the name of the game and style conveyed status, so the Victorian age saw the construction of Daedalian homes with endless mazes of massive rooms (we're talking multiple-wings) and sumptuous decor that only the ultra-wealthy could afford. Victorian style meant Gothic spires and vaulted ceilings, Baroque textiles for flock and damask covered walls, moldings adorned with intricate carvings of Medieval fleurs de lys, quatrefoils, and family crests (formally known as heraldic motifs) and many more features now synonymous with opulence. The grandiose homes of Victorian England were replicated across the pond in the United States, though on a slightly smaller scale than their British counterparts. The Victorian homes in America could be accurately described as "houses" (and still can, as most have been well-maintained); whereas, Victorian homes throughout the U.K. might be more accurately described as manors or estates. Their smaller scale in America made the homes no less exclusive, however: Victorian houses in the United States were (and still are) on the pricier side, making them available only to the well-to-do. 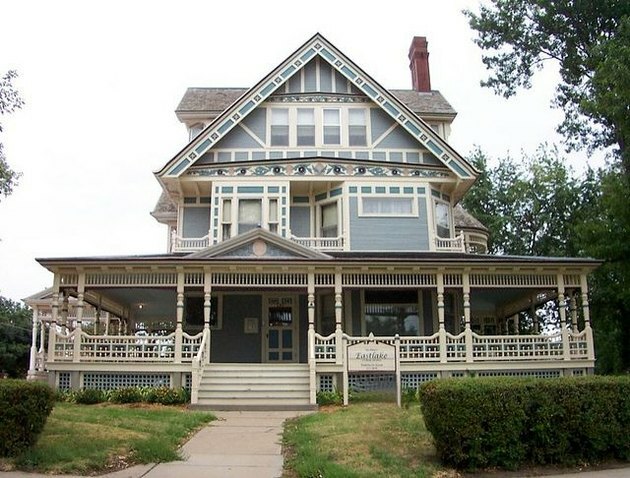 The advent of craftsman style that succeeded the Victorian age was largely in retaliation to this exclusivity. When it comes to visually identifying different types of houses, spotting the Victorian ones is a cinch. Victorian homes can be built in wood, stone or, thanks to the style's characteristic mélange of Medieval and Gothic, a combination of both. If any of the architectural elements remind you of Disney, chances are it's Victorian — think turrets, spires, and buttresses. 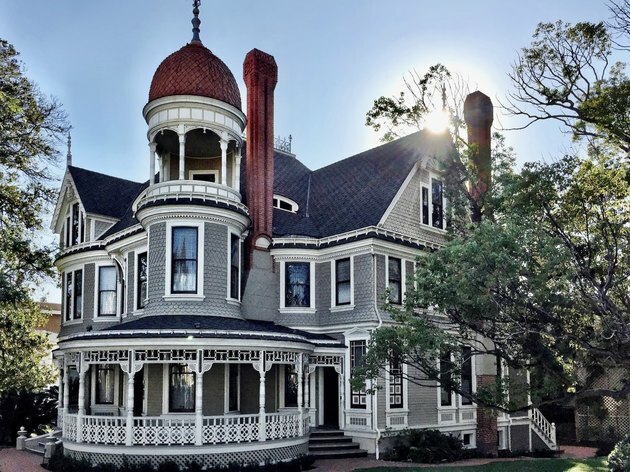 More mainstays of the many types of Victorian home include large enclosed (often wraparound) porches, multiple levels with high ceilings, stained glass, bay windows, and elaborately corniced eaves. It wouldn't be unheard of to draft maps of some Victorian residences, as most have multiple entrances, multiple staircases, and rooms that number in the double-digits. The sophisticated society of Victorian England was steeped in pomp and circumstance, and the homes were built to match. 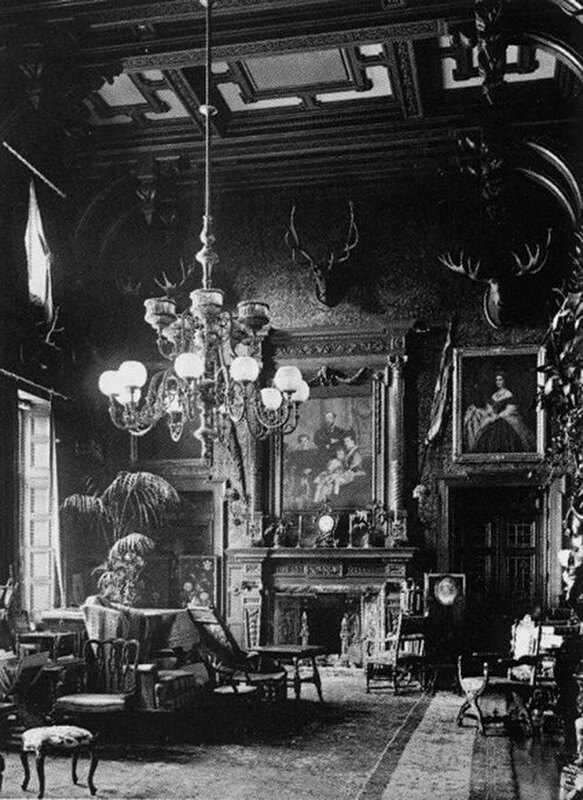 Residents were expected to host guests with the epitome of etiquette; as such, Victorian homes included entrance halls for welcoming guests, sitting rooms for pre-dinner conversation with guests, dining halls (not rooms) for dining with guests, kitchens located in the back of the house (where guests wouldn't have to see them), drawing rooms for ladies-only post-dinner drinks, smoking rooms for guys-only post-dinner drinks, and large gardens. The larger homes had endless purpose-themed rooms: billiards rooms, sewing rooms, dressing rooms, luggage rooms. 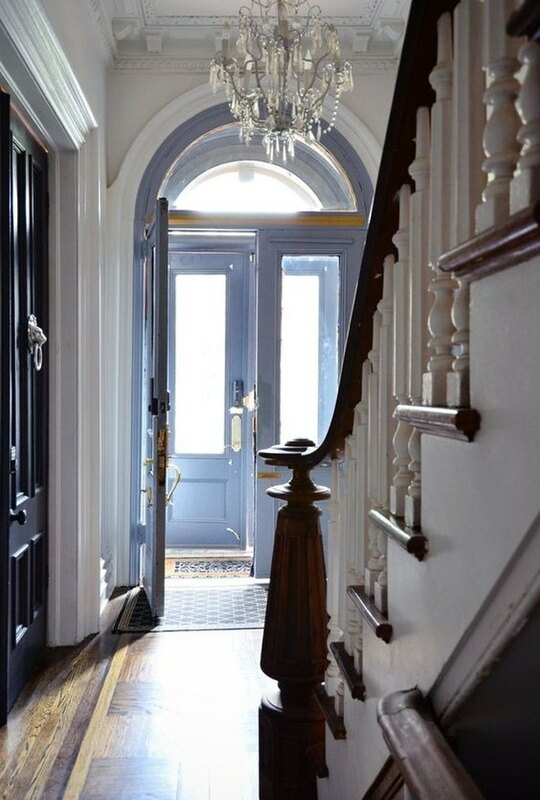 Victorian homes usually have substantially sized entrance halls; some continue straight through to the main house, while others are enclosed by a glass-paneled door in something akin to the original mudroom. High vaulted ceilings embellished with decorative designs make a grand first impression on visitors. A Victorian style house calls its family room the "parlour"
"Parlour" does have a nicer ring to it than family room, den, or living room, but the Victorian parlour actually wasn't fancy: the parlour was the spot for everyone to kick back and relax as a family (no guests would be shown into this room). Parlours have a little bit of everything: a library in miniature (perhaps one wall or half of a wall of books as opposed to the actual library, which would have all four of its walls covered floor-to-ceiling in books), a small dining area for serving tea, a fireplace, and a seating area. The placement of staircases can vary in Victorian homes depending on how widely spread out the rooms of the house are. Many Victorian houses have two sets of stairs, one in the front of the house and the other in the rear (usually leading into the kitchen), with the rear stairs originally intended for use by the home's servants. The front stairs will either be central, bisecting the house, or flush with one of the exterior walls. As the staircase used by the home's occupants, the front stairs will also be much more ornately designed than the back stairs (made high-quality polished wood with skillfully carved details) and lined with plush carpeting. 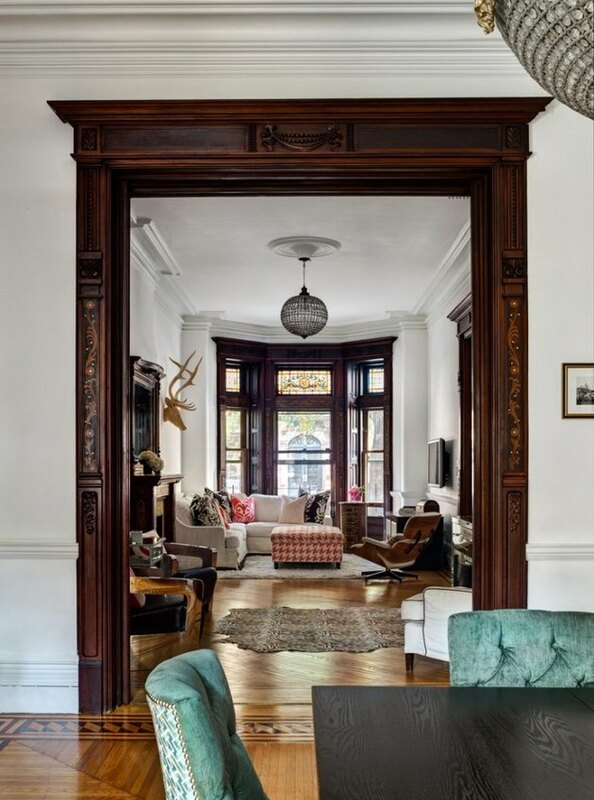 Many design characteristics of Victorian style can be worked into modern decor. The active ingredients in Victorian style are heavy yet vivid colors like burgundy and deep turquoise, velvety textures, and intricate details. Characteristics of Victorian furniture include tufted pieces with button backs, deeply-set or low to the ground seating options, and curved legs with detailed design work on each item.